Finally the wait has come to an end for the people who have wanted to lay their hands on NVIDIA’s SHIELD portable game console. This week the company in a mail sent to all its customers who had pre-ordered the Android device stated that the shipments of the device would start off on 31st July. in July. The post declared that the reason behind the postponement was due to a trouble they were facing with a third-party mechanical component but no other information was revealed about the flaw. In their new mail dated 31st July, NVIDIA gave its customers who had pre-ordered the console a hint that whatever defects might have been detected in the console’s production have been sorted out completely. Library. 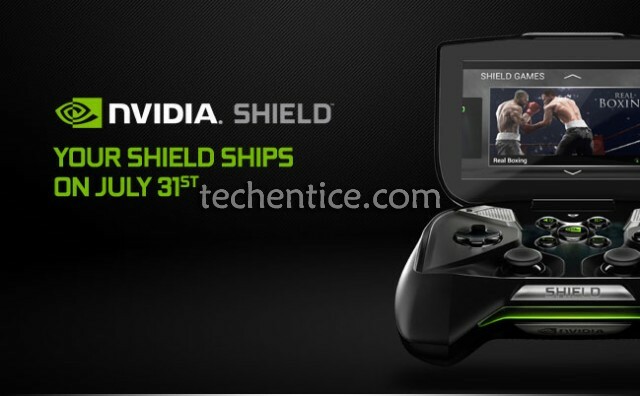 The NVIDIA SHIELD has been priced at $299.